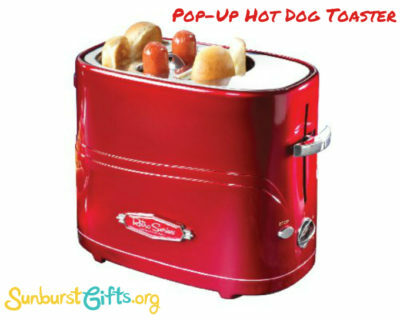 The Retro Pop-Up Hot Dog Toaster is a unique and unexpected gift for anyone who loves hot dogs! My all time favorite place to eat hot dogs is at a baseball game, but my friend, Linda, loves hot dogs anywhere, anytime. While on a girl’s trip to NYC, we stopped at a street hot dog vendor and from that memorable moment on she converted me to eating hot dogs anywhere at anytime! So when I came across the Retro Pop-Up Hot Dog Toaster, I knew it would be the perfect Christmas gift for her. For that thoughtful twist that’s totally over the top, you can pair it with an Exotic Hot Dog of the Month Club membership! For as long as I have known my husband, he loves eating the chewy edges of a brownie. One problem, there are only four edges to a regular pan. Guess what? Problem solved! I found a unique pan called the Edge Brownie Pan. Made in the USA, this patented pan adds more chewy edges to every brownie it bakes. Now my husband is in brownie heaven! 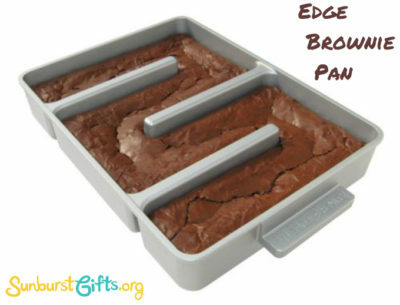 The Edge Brownie Pan is super heavy-duty and non-stick so it will never warp (like my other brownie pan). It’s also a lot easier to clean (a must for me). I was not expecting a surprise bonus inside the box. A spatula and recipes–a thoughtful twist for their customers! The recipes looked delicious for Marbled Cheesecake Brownies, Raspberry Pecan Blondies, Signature Cookie Bars (chocolate chips) and… the Ultimate Brownies. Have you ever faced this dilemma? 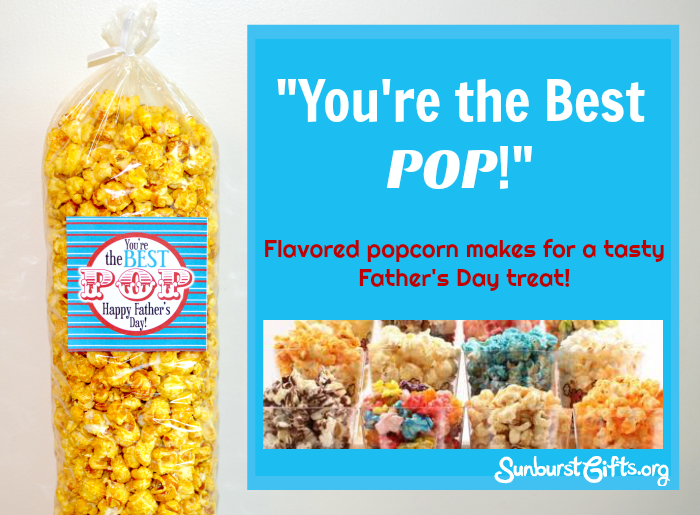 Father’s Day is coming up but you can’t think of a single “thing” Dad needs or wants? In this scenario, the solution is giving the gift of food, drink, or experience. I’m here to talk about a delicious and popular snack food–popcorn! It’s the perfect gift! Who doesn’t love popcorn that’s salty or sweet or both? I love Girl Scouts cookie season! It’s a chance to buy delicious cookies while helping girls raise money for their troop. My favorite thing to hear is when a Girl Scout tells me her troop is raising money so they can go to camp. That always warms my heart because of the incredible summer camp memories I have from my childhood. 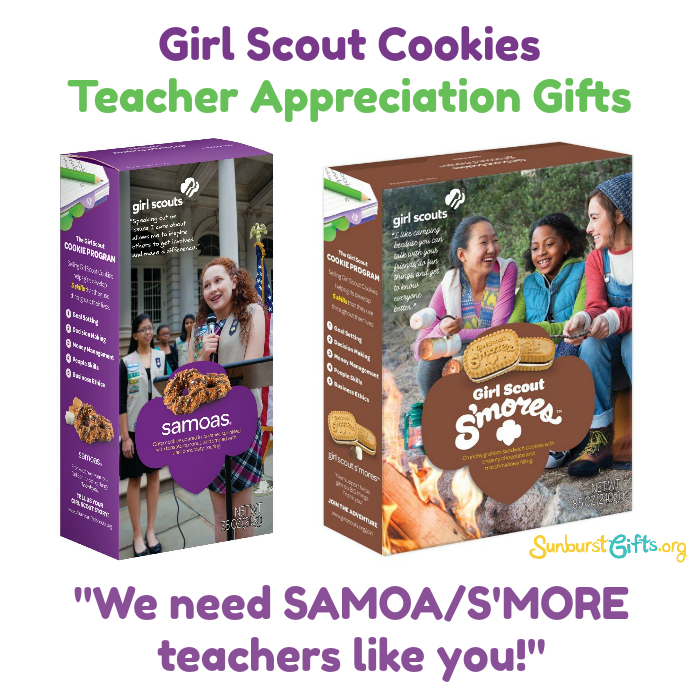 During cookie season, I like to buy Samoas and S’mores Girl Scout cookies to give as teacher appreciation gifts. The Pioneer Woman Cooks – Come and Get It! is Ree Drummond’s newest cookbook. This cookbook touts simple, scrumptious recipes for crazy busy lives. It’s the perfect gift for anyone who loves to cook and is a fan of The Pioneer Woman. Food blogger and cookbook author Ree Drummond, aka as “The Pioneer Woman,” is a sassy former city slicker who has moved to a ranch in Oklahoma to live with her rancher husband, their children and a menagerie of animals. 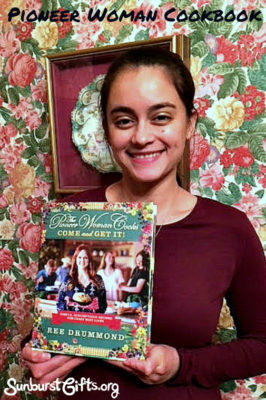 Drummond also has a TV series on the Food Network and invites viewers into her life (and kitchen), sharing her brand of home cooking, from suppers that are thrown together in a hurry to preparing elaborate celebrations. It’s amazing to me how you can Google recipes for any cuisine from your phone while walking down the aisle of a grocery store. So convenient! But… if you know someone who still enjoys the feel of a cookbook, The Pioneer Woman Cooks – Come and Get It! is a treasure of delicious recipes! And her down-to-earth way of writing will make anyone laugh. I just so happened to know that someone. My son’s girlfriend, Danielle, beamed from head to toe when she opened the cookbook gift signed by her idol. The aroma of truffle oil seriously makes my mouth water. I’m in love with it! The rich, decadent flavor of the golden oil on my tongue takes me to heaven every time. 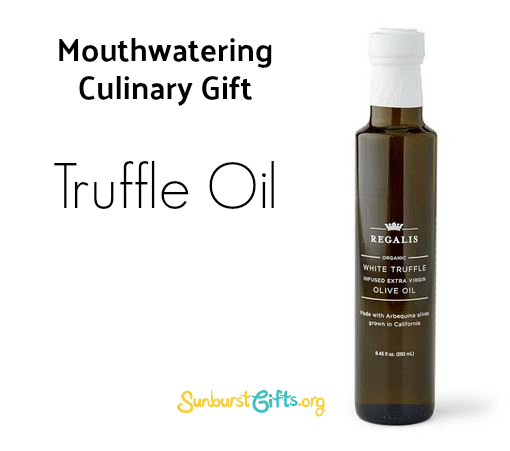 A drizzle of truffle oil takes a dish from good to gourmet! It recently gave my homemade pizza that “Wow!” factor. After it came out of the oven, I drizzled the top with white truffle oil and strawberry fig balsamic reduction. You should have seen my husband’s face after his first bite. His eyes actually got bigger! The dish really impressed him. 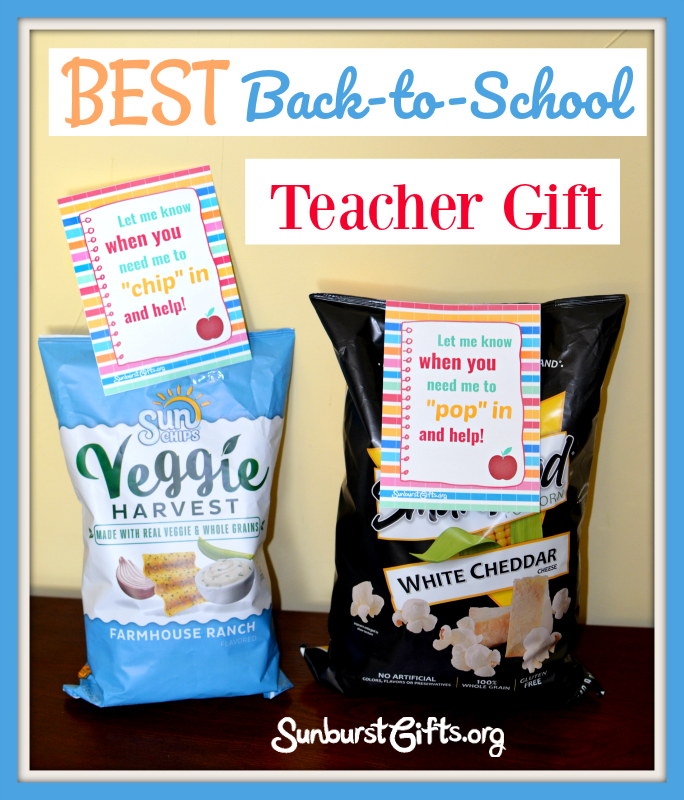 It’s a very nice gesture to give a teacher a small gift at the beginning of the year. This gift idea is my favorite because it includes a thoughtful twist! Edible gifts always make a great gift because they can be consumed and shared with others. With that said, this gift comes with a food item. More importantly, it’s paired with a note in the form of an offer… an offer to help. Teachers always have so many things on their plate so they love it when parents help in the classroom. With this teacher gift, your child’s teacher will be so excited to know he or she can call on you for help when needed. It’s a win-win! The more help they receive, the more time teachers can focus on their students, including your child. Let me know when you need me to “chip” in and help! It’s back to school – meaning kids will once again spend the majority of their time at school. Although you’ll be apart, I have a simple and thoughtful way to connect with your child every day during the school week! Use lunchbox love notes to put a smile on their face while they’re at school because you’ve let them know you’re thinking of them. 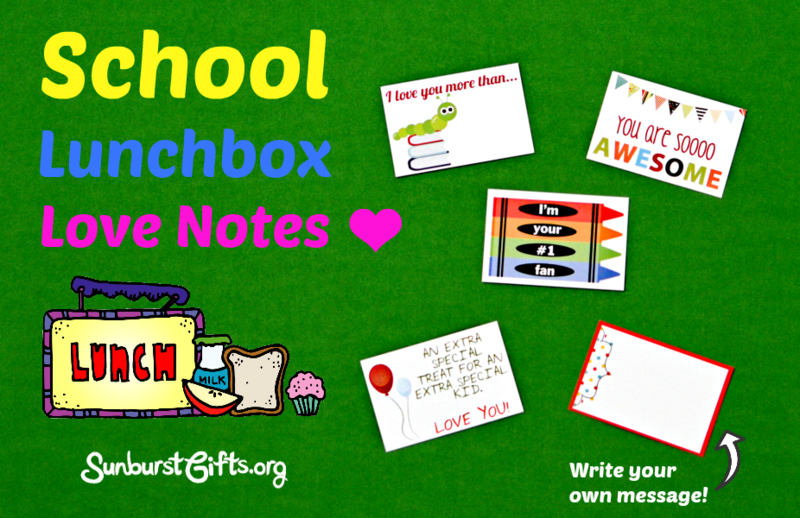 What are lunch box love notes? They are small cards or slips of paper that share a positive, uplifting message. Here are some examples but the possibilities are endless! Have lots of fun today! Good luck on your test today. An extra special treat for an extra special kid. Love you! Why fit in when you can stand out? We all want to feel special on our birthday. Sometimes it’s the little things that make us feel EXTRA special. Like getting to use a personalized birthday plate while every else uses paper plates. Kids will especially love this tradition. 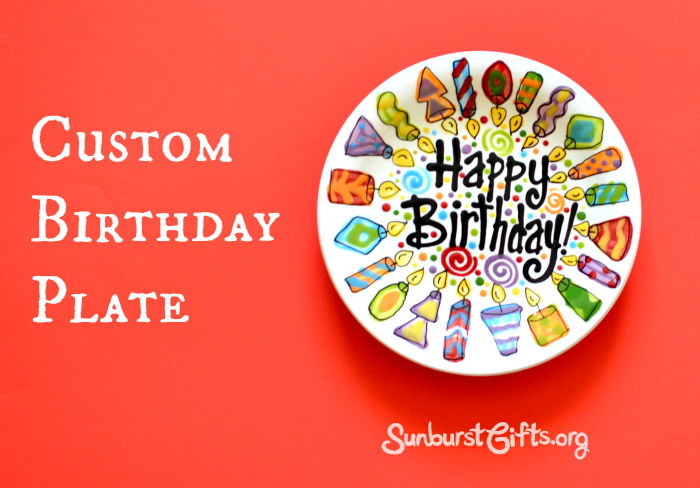 All year long, they will anticipate getting to eat a big slice of cake on their custom birthday plate. Think of the fond childhood memories this fun tradition will create! This perfect birthday gift can be used year after year to celebrate someone’s special day. 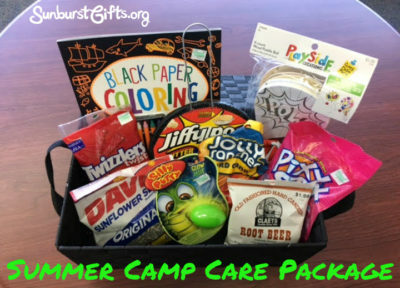 I loved going to summer camp as a kid so I wanted my children to have their own experiences of summer camp. One of the differences between theirs and mine, I sent my children a surprise care package. Even though I was having lots of fun, I remember being homesick and I was sure my boys were too.